I ain't gonna lie. Staging a home, whether as a decor-challenged home seller or a professional home stager, can be hard work. The difference will be what you have in your toolkit. I want to share with you my favorite time-savers and energy-savers. 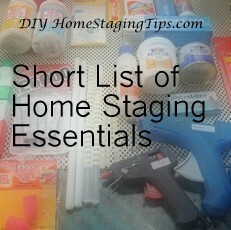 Anyone staging a home should have this equipment handy right from the start of a home staging project. None of them are expensive. One of the first steps you'll make when you stage a home is to take measurements. 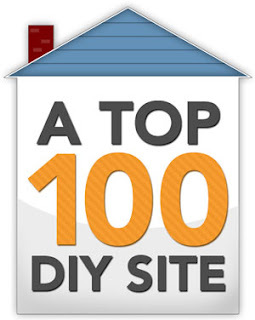 Measure the rooms, the furniture you'll use (footprint and height), windows and doors, and rugs. Keep these numbers with you when you shop. You'll prevent yourself from bringing home oops or having to live with things like draperies too short, a nightstand that's too tall, or a sofa that won't fit through your front door. I like to carry a small tape measure in my purse. At home, it's handy to have a yardstick, a ruler and a measuring tape. Don't guess. Although my mother-in-law could take a length of fabric, hold one end up to her chin, and by stretching the edge of the cloth out the full length of her arm-- whether yardage at a garage sale or curtains at a thrift store -- know that it was exactly 33 inches from chin to thumb. Handy. Decorators and other professionals are awarded paint companies' monster chip charts, or "fandecks" to help them plan their designs and show options to clients. You can make your own more practical book of color chips that will guide your choices in textiles, furniture, counters and other furnishings. 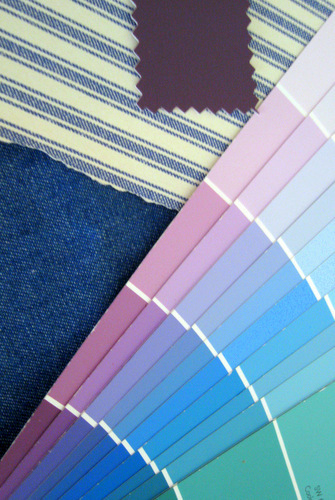 Next time you are at the paint store or home improvement center, grab all the paint color strips that you think will work well with what you have at home and then make your own paint color book. 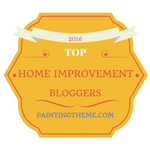 I've previously given a simple and foolproof formula for selecting paint colors. A stager always carries color samples. Know your palette. I'm not embarrassed to admit I have an on-going love affair with gloves. How else is a girl supposed to protect her hands from cleaning chemicals, paint, and grime? If you do any landscaping, you need gardening gloves. If you strip furniture, you need heavy nitrile or viton gloves that safeguard your skin from paint remover. If you move furniture, you need gloves that help you get a grip on bulky pieces. If you paint walls or furniture, you need cotton gloves, nitrile or disposable latex gloves that make cleaning up afterward fast and easy. One time you don't need to glove-up when cleaning is when you use microfiber cloths and water. We all love these cloths and mops and dusters for their ability to gather and hold the stuff that brooms and ordinary dust cloths send airborne. For tougher grease and grime, you'll need to use your microfiber cloth with an all-purpose cleaner. I find windows and mirrors are easier to get streak-free if I use a glass cleaner on my microfiber cloth. For real problem areas, like soot left on an acrylic shower stall wall from candles burned in the bathroom, bring on the magic erasers. P.S. real beeswax candles don't deposit soot on your walls or lungs. All paraffin candles do. Most of us have some version of a Swiffer for floors. I also like the Swiffer WetJet, For quick dusting and reaching high places, nothing beats a long-handled microcloth duster. Buy your microfiber cloths by the bundle in the automotive department for the best price. You can strap this crate in your car with a seatbelt! The reason I'm big on milk crates is that they are lightweight, economical, have handles, stack easily, and let you see the contents. True, they won't protect their contents from dust, mildew or other damage, but they are big helpers when you are gathering your home staging supplies in a clean, climate-controlled space. They make transporting supplies easier, as well. Best source for milk crates? The ones discount stores sell for $2.50 are fine for most storage and toting tasks. If you want to get all crazy and have color-coded or heavy-duty milk crates, here's an online source for that. Sometimes you need more protection and visibility than milk crates offer. Bring on the plastic, lidded tubs. There's no shortage of styles and price points. It's smart to stick to one style of bin if you plan to store or transport staging supplies regularly. Matching ones will nest when not in use, and they will stack easily with lids on. They'll also make you feel and look ever-so-organized! How much you want to spend depends on your budget and your fussiness. I find that discount stores have bins that are good enough, whether shoe box size or 72-quart, or anything in between. I like clear bins because the contents are identifiable. Having the right glue on hand lets you tackle any project at the right time, like when you want to do a group of repairs all at once, or when you need to make a quick emergency fix on deadline, or when the mood strikes at a crafting session. What did people do before hot glue guns came on the crafting scene? Home stagers can use a glue gun to make no-sew draperies and pillow covers. They're indispensable for a million crafts projects joining metal and wood and fabric surfaces, but be aware that cold temperatures will break the bond. I once made a twig trellis as a Christmas gift to my sister in New York. I glued all the branches together with a hot glue gun. Fast and fabulous! I drove from North Carolina with it in my trunk and when I popped the trunk in Brooklyn, the trellis was just a pile of sticks, having been undone by freezing temps. There's a lesson here: if you want to remove hot glue, just freeze it. When working with hot glue, keep an ice cube ready for those inevitable finger burns. Putting ice on that burn for a few minutes will sooth the ouch and prevent a blister from forming. Another boon to stagers is spray adhesive. 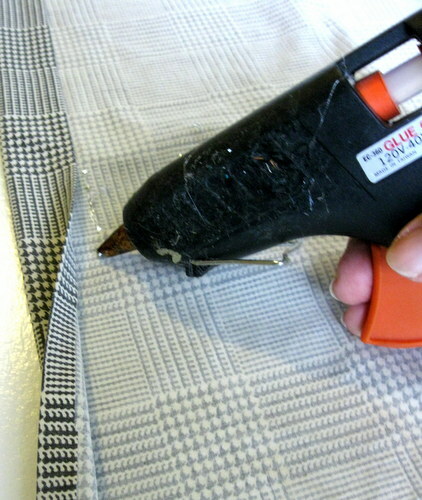 Use it to bond new fabric to an old padded headboard, to turn a box spring into a bed pedestal by covering it with fabric, create montages for framing, recover a lampshade, decoupage a tray or plastic container, or cover ordinary shoe boxes with a pretty textile to create props for staging tabletops and closets. Please spray only with plenty of ventilation and not at all if you are pregnant. I'm not a fan of super glue. I would rather use every crafter's favorite -- e6000. It dries clear, is easy to work with, sets fast and forms a strong bond for fabrics, ceramics, rubber. vinyl, leather, fiberglass, wood, and concrete surfaces. When I want a really durable bond, I'll use a two-part epoxy. And for temporary place holding, nothing beats a glue stick. staging, like these faux pewter planters. For starters! My preferred brand is Krylon. They spray evenly, don't spit, cover well, offer great color choices, and I can use my handle/trigger attachment. Scoop up a selection of the colors you'll use to reinforce your home's unique color scheme. I always have gold, silver, black and white. You never know when you'll be inspired to transform old into new, convert an assortment of odds and ends into a collection, or work a mismatched item into your grand plan! To guide you on your homestaging journey, a book of tips. techniques and tutorials will help. You can download my $4.99 eBook, DIY Homestaging Tips to Sell Your Home Fast and For Top Dollar, and start your staging today.